But there are steps you can take to limit your exposure on a tight budget. 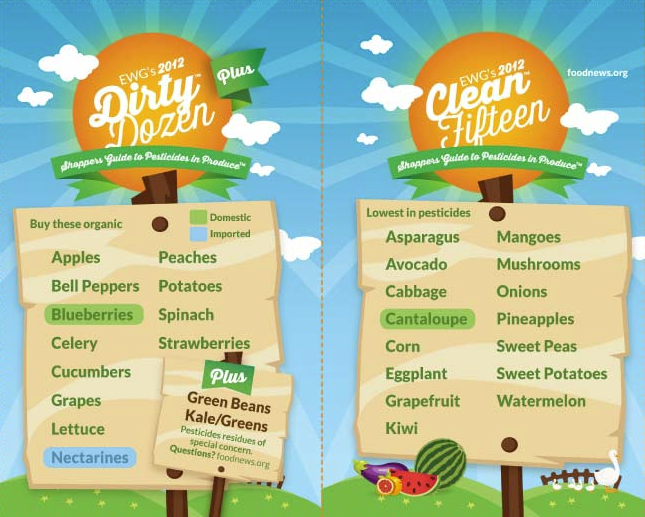 The website ewg.com has a guide called EWG’s 2015 Shopper’s Guide to Pesticides in Produce™ that lists the “dirty dozen” conventional fruits and vegetables. 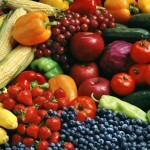 Buy these Organic to limit exposure to harmful pesticides. There are two more vegetables that are actually of more concern. The extra dirty produce. It includes some vegetables you might find surprising. Thought that conventional Kale you were eating was healthy? Well, it may have been loaded with more pesticides than any other item in your produce section. It is very important to buy these super dirty items as organic. It’s important to note that Genetically Modified (GMO) Sweet Corn is not labeled in US stores. GMO corn is usually used for animal feed and biofuels. But some GMO corn is grown for human consumption. There is some concern about the toxicity of GMO corn itself as well as the toxicity of the pesticides/herbicides they use on it. And since so many with illnesses such as Autism and ME/CFS seem to have a corn allergy, it might be something that should be avoided anyway. Just print it, fold it, put it in your wallet, and you are ready to go. If you have the money, it’s probably best to buy all organic. But if you don’t have the money, these are some practical tips. It’s a bit harder to save money when buying packaged food. Much of it is very processed, so look for the USDA Organic seal and/or the Non-GMO Project Verified seal to further limit exposure to toxins.